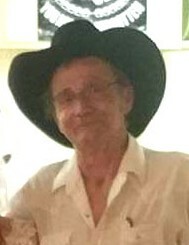 Graveside services for Buster Blakely, 63, of Lufkin, will be held Friday, March 29, 2019, at 1:00 p.m. at Hillcrest Cemetery with Bro. Ty Phillips officiating. Mr. Blakely was born February 3, 1956 in Houston, Texas, the son of Chuck Blakely and Mary (Stubbs) Blakely, and died Monday, March 25, 2019 in Tyler. Mr. Blakely served in the United States Navy. He loved his job at Mom’s Diner where he cooked for 27 years. Mr. Blakely also enjoyed watching football. Mr. Blakely is survived by his daughter and son-in-law, Brandy and Jeremy Hickman of Gatesville, TX; son, Christopher Sprinkle of Seven Points, TX; son and daughter-in-law, Daniel and April Sprinkle of Charleston, SC; granddaughters, Calista Downey, Heather Kutcher, Faith Sprinkle, and Patience Sprinkle; grandsons, Trent Hickman, Caleb Sprinkle, and Trevor Sprinkle; mother of his children, Denise Hammer of Valley Mills, TX; father, Chuck Blakely of Palestine, TX; brother, Charlie Blakely of North Carolina; brother and sister-in-law, Tim and Brenda Blakely of Winfield, LA; sister, Earleen Lutz of Kansas; and sister and brother-in-law, Maureen and Frank Ayler of Missouri. He was preceded in death by his mother; and grandmother, Lois Stubbs. Pallbearers will be Jeremy Hickman, Chris Sprinkle, Brad Spencer, Tristen Dearing, Jason Nash, and Keith Shirley. Honorary pallbearers will be Trent Hickman, and Calista Downey. Visitation will be from 6:00 p.m. to 8:00 p.m., Thursday, March 28, 2019 at Shafer Funeral Home in Lufkin.